Bag of dried beans. 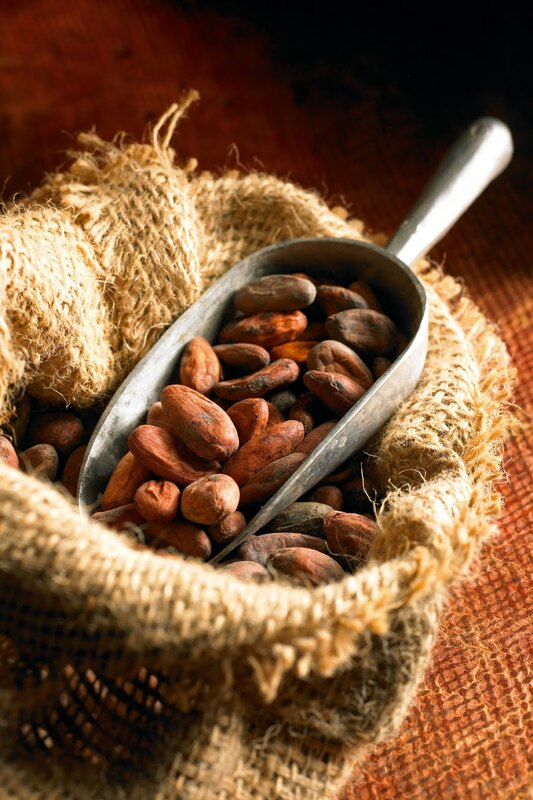 | WHY DO WE LOVE CHOCOLATE? ← Cocoa pod, not know origin.